Tone vs Voice – What Is the Difference? When putting together your brand’s content style guide or optimizing content for your audience, it’s important to know the difference between tone and voice. These two topics are distinct yet easily confused for one another, which can cause some advice to backfire. 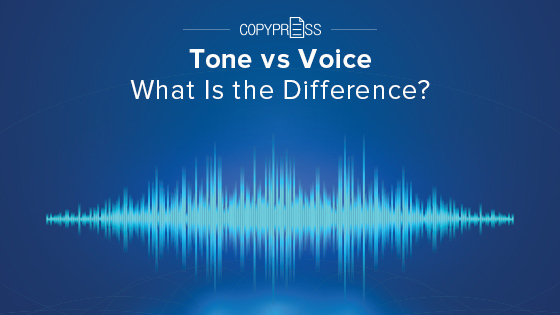 Take a look at the differences between tone and voice in content marketing, and what it means for your business. Even the biggest, most universal businesses in the world have a brand voice, if you pay close attention. From the sociable and good-times vibe of McDonald’s to the mystique of Apple, no two brands should feel exactly the same. Even two businesses in the exact same industry differentiate themselves by having a voice that their competitors don’t capitalize on. Voice is extremely important in marketing because it creates a consistent experience that gels with your ideal customers. For example, Geico tends to create jokey, humorous commercials, and this fits into its brand voice of playful helpfulness. If Geico suddenly released a very serious and dramatic commercial, it wouldn’t match up with everything that came before, and people would be confused by brand whiplash. 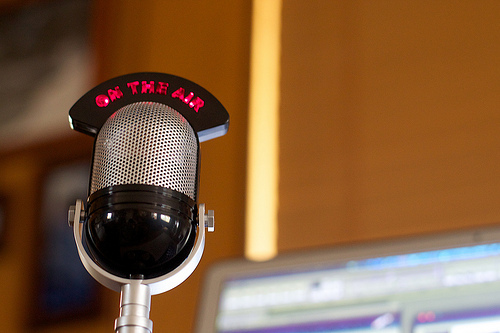 The more consistent you are with your brand voice, the better you’ll be able to connect with your target demographic. If you try to appeal to everyone and betray the brand voice you’ve established, you’ll only irritate and disengage with those who were growing connected to you. If a business does not apply different tones to its content and instead applies its general brand voice, the content won’t feel very engaging or relatable. This is a common mistake new businesses make. Too afraid of scaring people off and being outrageous, they release boring pieces that read in the same, on-brand way every time. Make no mistake: the power of tones is that you can swap them out for whatever works best in the situation. 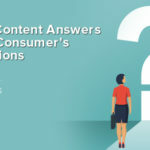 All the tones your business takes with content pieces should fit somewhere within the umbrella of your brand voice, but tone cannot remain static between different content pieces. A guide on how to change a tire shouldn’t have the exact same tone as a motivational piece about buying the perfect car. Let’s say a business is selling a photo-editing software aimed at animators. The content designed to draw in traffic might be upbeat and promising, talking about tricks to animate more in less time. If this attracts people to sign up for more information, new content could be delivered gradually. 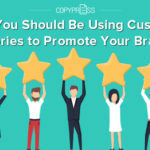 However, now that customers aren’t complete strangers, the content would be a bit more serious and educational, without being quite as extravagant or exciting. 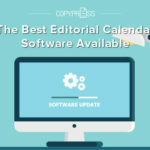 Finally, when it’s time to provide an offer for the software, the business could take a supportive and calm tone. This type of gradual tone change is extremely important for your customer’s experience. It’s basic psychology; if you stay on a single emotional note, your customers won’t feel like they’ve actually gone anywhere with you. Use and test tone changes in your content to deliver the experience your customers want. This testing takes time and effort, but the rewards are well worth it when people feel like your brand understands them. 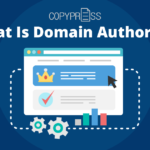 All style guides should clearly establish not only your brand’s general voice and how to express it, but also the tones that are allowed for each type of content and how to write for them. When writers aren’t clear on both, you’ll spend more time going through edits and rewrites. Despite what the word might imply, voice is not just about verbal things, such as written content. Brand voice is impacted by color, logos, company policies, and much more. Take all of these into account as extensions of the general voice description. For example, Starbucks has a welcoming and calm voice, and that naturally meshes with its brown and tan color scheme, employee uniforms, lounge-like interior design, etc. When it comes to voice, think consistency in all things. Use testing to figure out what sort of tones work best for your content types. Split testing is a great way of figuring this out. Perhaps your motivational pieces are a bit too aggressive, or your instructional pieces could use a joke or two to lighten the mood. You won’t know until you listen to your audience and study metrics. Sometimes voice is more about what should not be done or said. For instance, Walmart has an extremely light and friendly brand voice and would never insult its customers, even jokingly. Meanwhile, something edgier, such as an energy drink brand, might have a policy of never speaking seriously or calmly, expressing high energy and humor at all times. If you emphasize “don’ts” rather than “do’s” in your style guide regarding voice, outsourced writers and creatives may have a better time of grasping what your brand is about. Understanding tone vs voice will put you ahead of competing businesses. 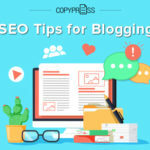 While they stumble and wonder why their content gets less engagement, your pieces will continue to improve and raise your reputation as a trustworthy and high-value brand. Apply and consider your brand voice and content tones in every content marketing project you tackle, and you’ll help everything run that much smoother.